Area rugs have the power to turn a bland-looking into a room full of life. It defines the space and sets the tone. For some who don’t want to go through the time and hassle of replacing their entire floors, area rugs provide an easy decorative solution. Aside from your carpet looking fresh and clean, a clean area rug also makes for a healthier home. Many might not know this, but rugs help improve the indoor air quality. Particles in the air, such as pollen, dust, and pet and insect dander, fall to the floor due to the gravity. The fibers in the rug help trap the particles and remove them from the breathing zone. Our professionals use the latest and innovative equipment to remove the dust and allergens from the rug to make the air you breathe even healthier. We also offer our personnel offer valet service for your area rugs seven days a week for the ultimate convenience. We treat your area rugs as if they were our very own. You can trust us to get any stain out of your rug. 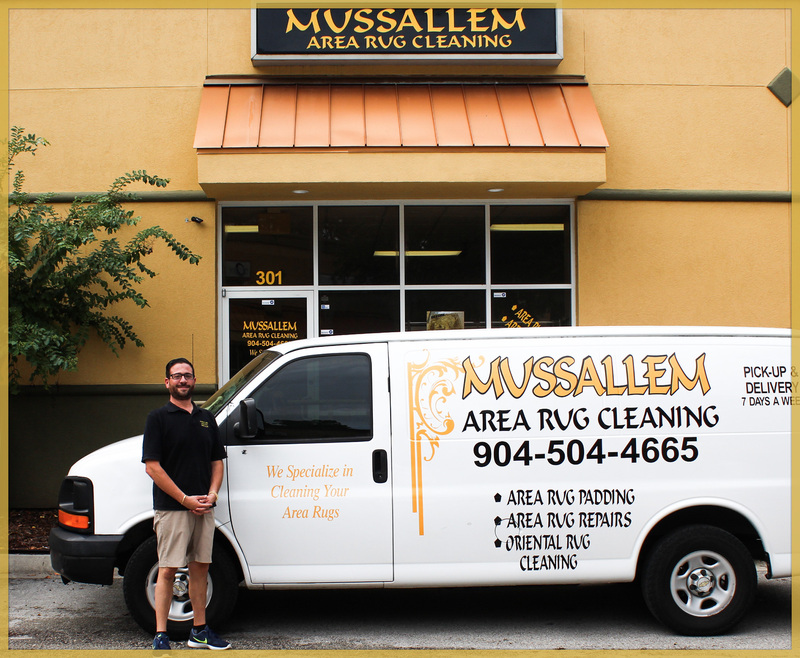 For over a century in Jacksonville the family name MUSSALLEM has stood for high end quality and meticulous care. Michael Mussallem has stepped up to the helm of the family business, a process that has endured from father to son since 1897. Michael says this business is a collection of craftsmen knowledge passed down which is unsurpassable here in Jacksonville. “We not only employ ancient rug cleaning techniques (we have many family secrets) yet we actively stay on top of every new discovery in the industry… testing it ourselves and making improvements,” says Michael. Michael also explains how his staff pledges to “do no harm!” to any client’s rug. Each rug is hand washed individually no batch rugs. THey are guaranteed to be washed with approved products. Whether an exotic area rug or a family heirloom, every rug receives superior care to support its longevity.